Energy efficient home design and green building techniques do more than just reduce the impacts on our climate and limited natural resources. They provide a quieter, more comfortable, and healthy indoor environment that is also more durable and longer lasting than conventional homes. A more efficient home is also less expensive to operate and will lower your monthly bills. Homes with these features are likely to see higher resale values, providing for a solid return on investment. 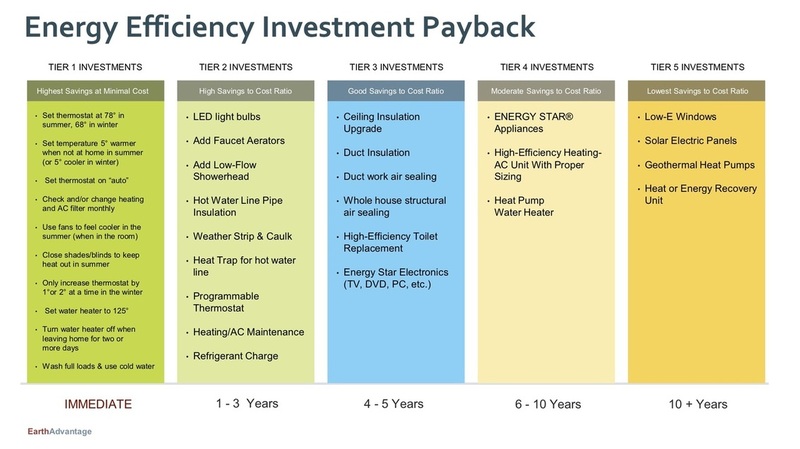 See the graphic below for a nice summary of estimated paybacks of various home efficiency upgrades, and visit Earth Advantage and Energy Trust of Oregon for much more useful information. 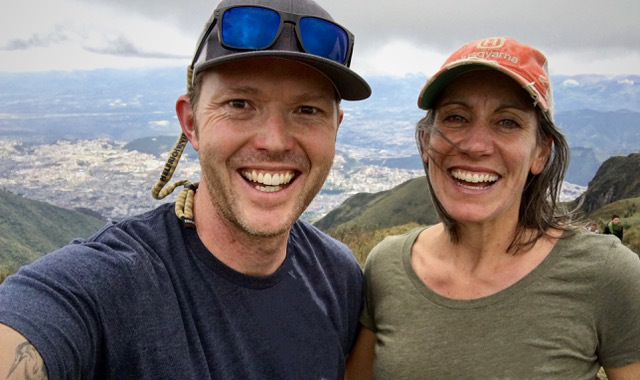 I’ve had a lifelong passion for helping improve our natural world, and have dedicated my career to that purpose. Earlier this year, I became an accredited Earth Advantage Broker and by doing so have committed to staying current on, and communicating the value and benefits of, high performance homes and efficient building design.